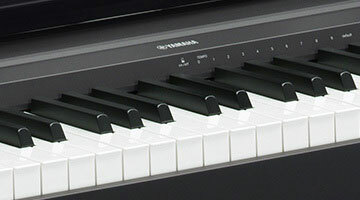 When Yamaha designed the P-45 they wanted to do everything they could to make it a great digital piano whilst still being extremely affordable. Using a strong but lightweight chassisthey added their popular Graded Hammer Standard key weighting - so that it feels like a piano. They paired this with the latest generation of their tried-and-tested AWM sound engine so that it sounds stunning. And opening the door to the world of music production they added a USB connection - making the P-45 a brilliant weighted MIDI controller. There's never been a better piano at a better price. Graded Hammer Standard keyboard for an authentic piano-playing experience. The P-45 features a Graded Hammer Standard (GHS) keyboard. The feel of the keyboard gradually changes according to the register, so that it feels heavier when playing bass parts and lighter when playing treble parts, just like an acoustic piano. The keyboard has a responsive, natural feel together with matte finish black keys for a truly authentic piano playing experience. 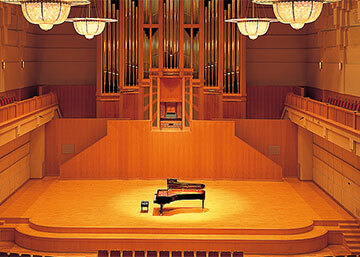 The P-45 improves upon the traditional AWM synthesis system to deliver stunningly real piano sounds. AWM is a technology that uses digital recordings of original instruments and allows you to experience a realistic grand piano sound wherever you are. Compact and lightweight design for easy transportation. Slim and stylish with a depth of less than 30 cm, the P-45 requires very little space and, at only 11.5 kg, it can be easily moved anywhere in your home or used for performance outside. Many of the settings on the P-45 can be changed with a single button. 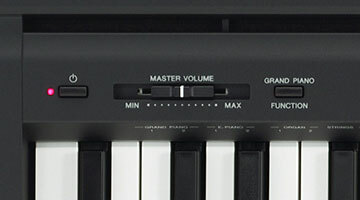 Simply hold down the "GRAND PIANO/FUNCTION" button and press selected keys to change voices, play demo sources, configure the metronome, and so on.